Lang House on Main is the ultimate place to stay for romantic getaways in Burlington, Vermont. You deserve the best in comfort and convenience and we’re committed to meeting your needs in every way possible! Enjoy concierge services like that of a top notch Burlington, VT hotel. 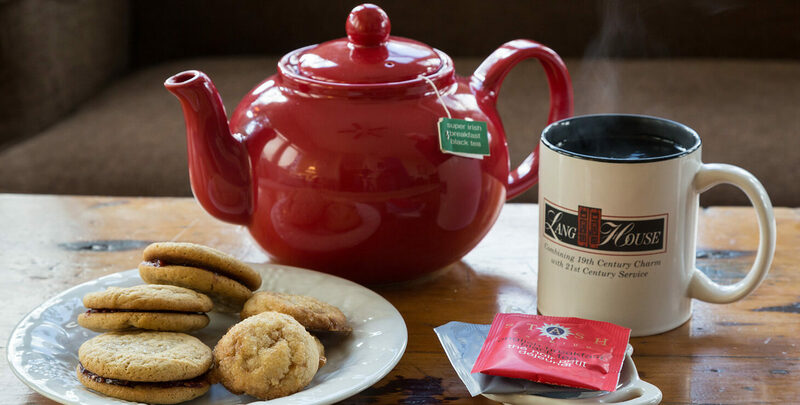 Our online concierge service enables guests to order amenities in advance of their arrival. 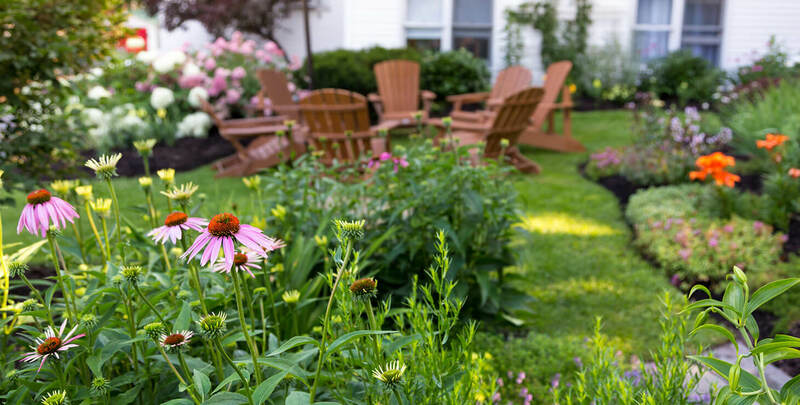 Enhance your stay at Lang House on Main Street with wine, flowers, chocolates and breakfast in bed. 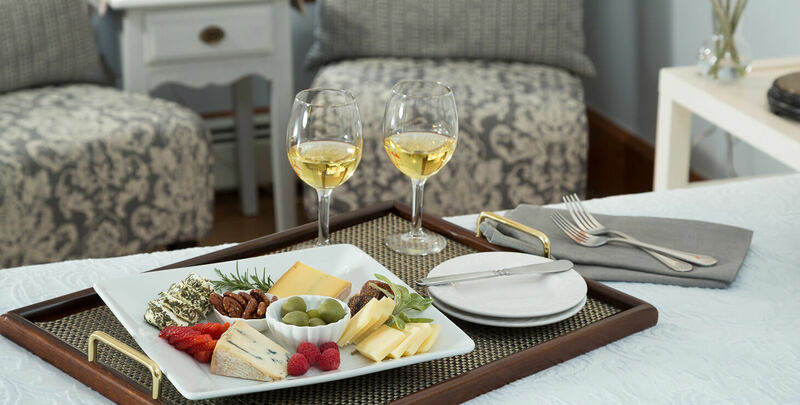 A beautiful plate of Vermont cheeses can be delivered to your room or enjoyed in our inn common areas or garden. The cheese selection depends on the season, but it always includes one or two cheddars along with other cow, goat or sheep cheeses. Your cheese plate will also include an assortment of crackers, fruit and some of our very own spiced nuts, just to add a little zest! We have a license to sell and serve wine, beer, and cider and offer a nice in-house selection for purchase. 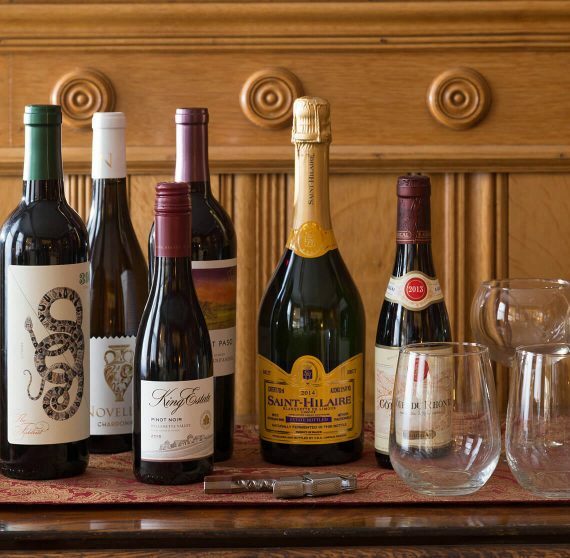 We are happy to place a chilled bottle of bubbly or white wine, or a bottle of red wine in your guest bedroom in time for your arrival and enjoyment. Please note that this list is subject to change. Check with the front desk for the most current wine and beer offerings. 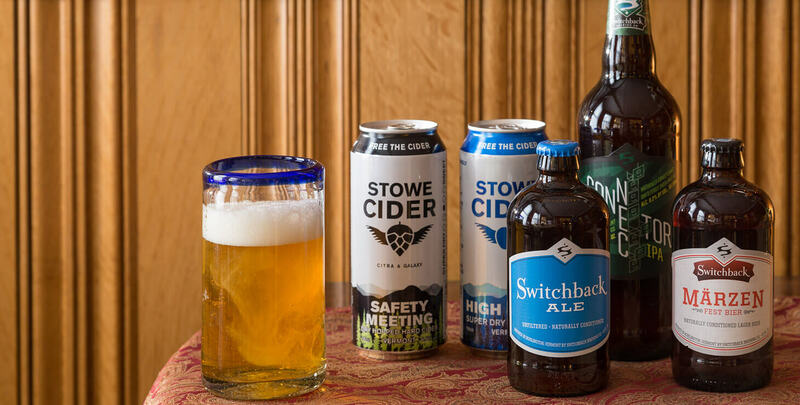 According to Vermont liquor regulations, while the Lang House has a beer and wine license in force, guests are not allowed to bring their own beer, wine or spirits into the inn. 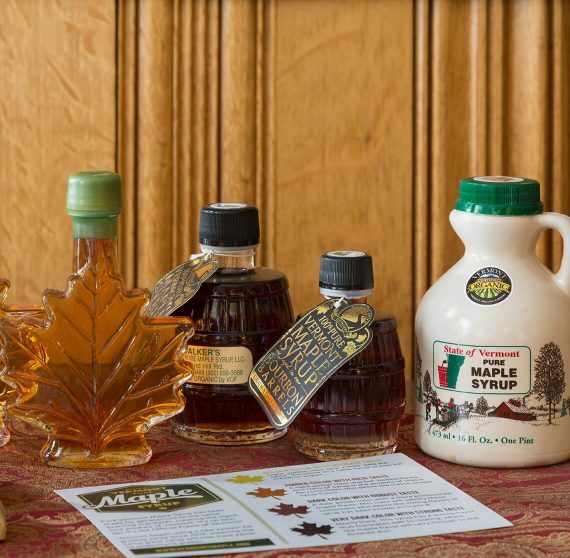 Please contact us if you have any questions about our wine, beer, and cider offerings. We offer guests an opportunity to enjoy their breakfast in the comfort and privacy of their bedrooms. 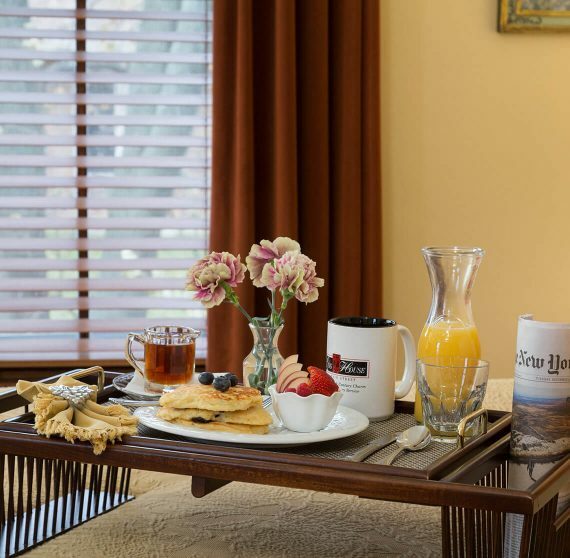 We offer guests an opportunity to enjoy their breakfast in the comfort and privacy of their bedrooms. 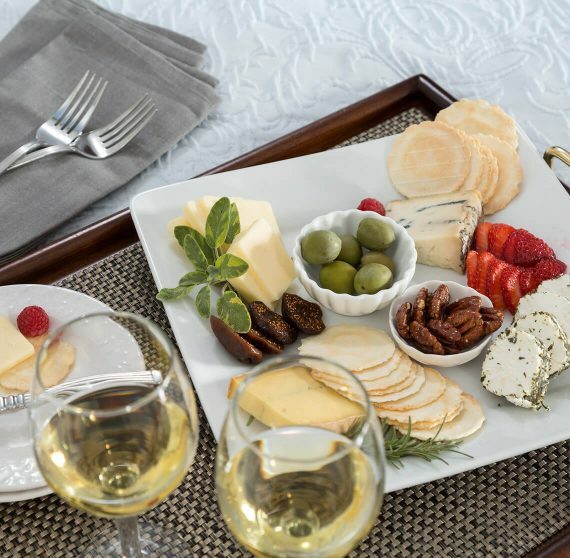 Guests arrange for this service in advance (the morning the trays are delivered by breakfast servers; you can place your order the night before or we can call the guest bedroom to review that day’s menu offerings prior to the scheduled delivery time). Long-stem roses or a seasonal bouquet from a local florist. We work with local florists who hire professional designers. We do not order flower arrangements from on-line florists. 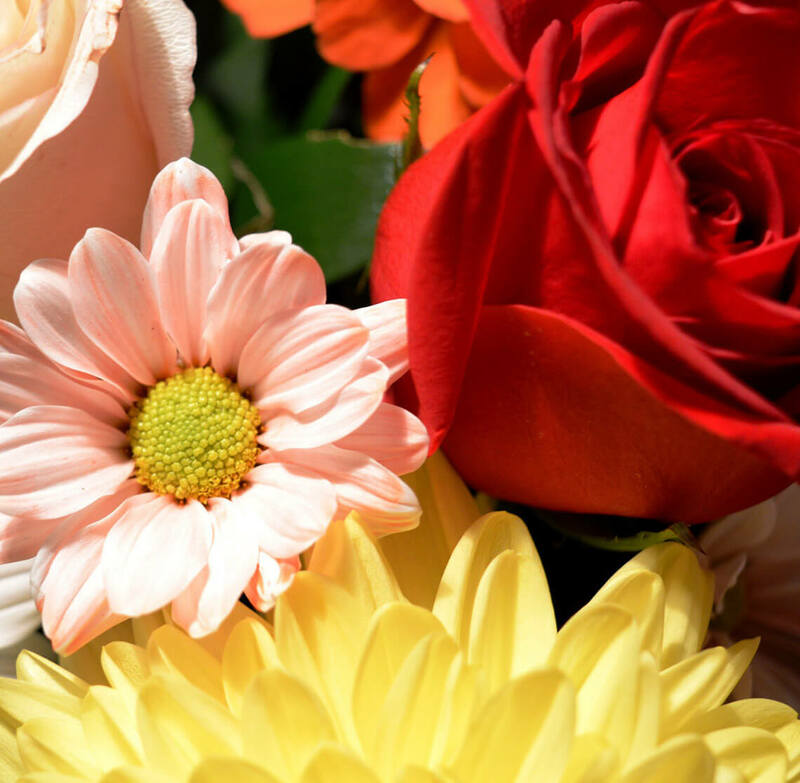 We are happy to work with guests in regard to identifying an appropriate arrangement, whether it is long-stem roses or a seasonal bouquet. Prior to placing the order, we apprise you of the costs involved in having an arrangement placed in a guest bedroom. 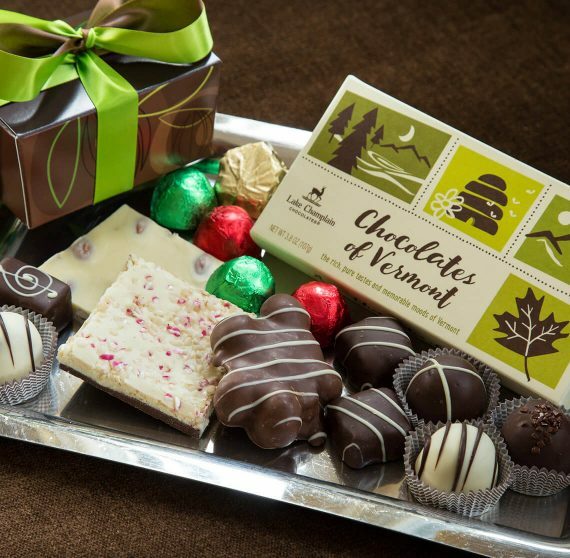 Delicious chocolate inspired by Vermont and made in Vermont. What better way to learn about a place than through their food. Inspired by Vermont and made in Vermont. Just when you thought chocolate couldn’t get any better. Take a piece of your stay with you by purchasing a Lang House bathrobe. Checking-out, but not ready to go? 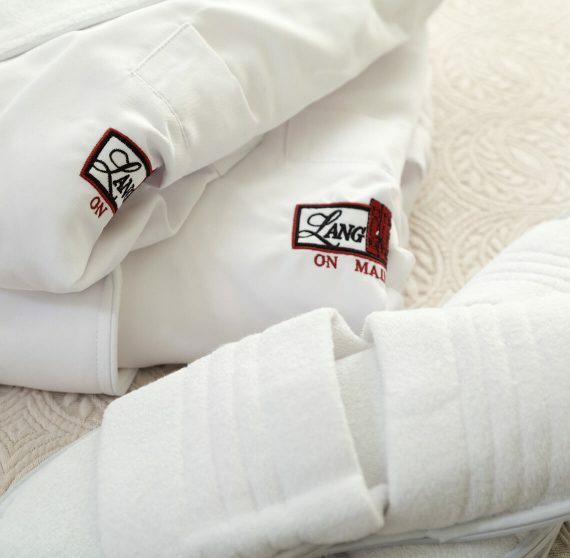 Take a piece of your stay with you by purchasing a Lang House bathrobe. 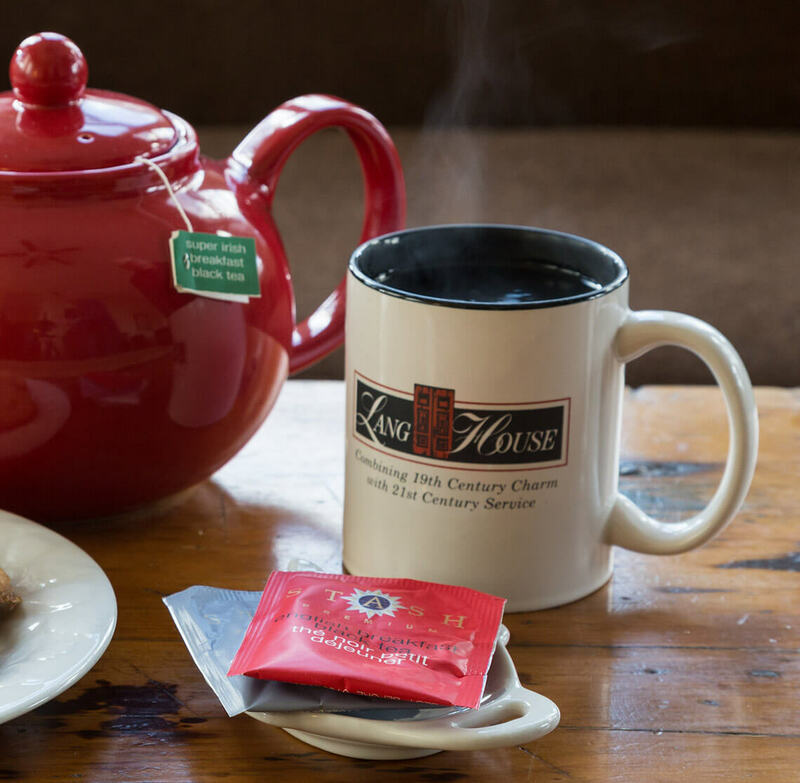 You can revisit your Lang House experience every time you cozy up in it at home. Plan a romantic getaway with that special someone in your life. Burlington is arguably one of Vermont’s best destinations in all seasons. The Lang House is an excellent venue for celebrating your love, a birthday, or an important milestone. Captain Gideon will navigate a scenic, informative and romantic sail on beautiful Lake Champlain. Guests can choose between a day or evening sunset sail of two or four hours. Guest note: This is a popular summer and fall lake activity; the more notice we have the better able Captain Gideon is able to accommodate your date and sail time! There are no regulations regarding attire and footwear. Captain Gideon reserves all rights to call off a sail if there is any chance of inclement weather. To help your dollar go a little further while you’re here, we are offering our friends to the North a 20% discount on room rates during mid-week (Sunday-Thursday) stays of two or more nights. Valid November – April 30, 2019. *For new reservations only. Must book direct, not applicable to reservations using gift cards. Cannot be combined with any other offers.